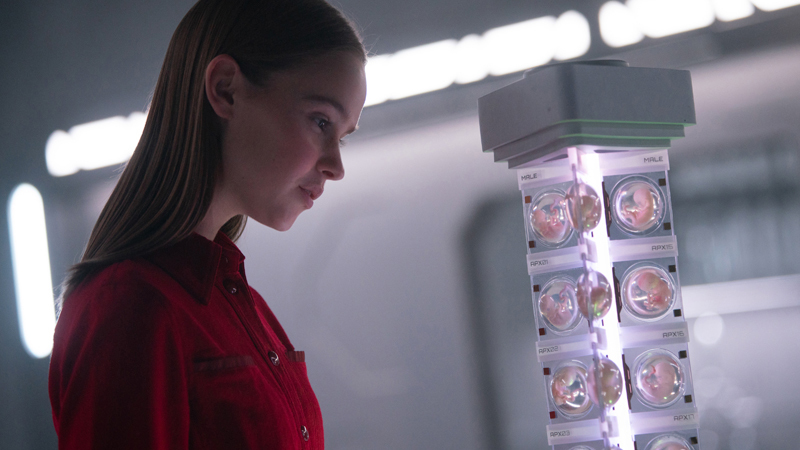 Netflix has acquired the U.S. rights to the sci-fi thriller I Am Mother after its premiere at the Sundance Film Festival last month. The granddaddy of all streaming platforms had previously locked in the rights with several international territories. Hilary Swank (Trust, Million Dollar Baby), Rose Byrne (Angie Tribeca), and up-and-comer Clara Rugaard all star in the sci-fi thriller about a teenage girl who is the first of a new generation of humans to be raised by Mother, a robot designed to repopulate the earth after the extinction of humankind. But the pair’s unique relationship is threatened when an injured stranger arrives with news that calls into question everything Daughter has been told about the outside world and her Mother’s intentions. I Am Mother marks the directorial debut of Grant Sputore, from a script by Michael Lloyd Green, and based on a story by Sputore and Green. Kelvin Munro will produce for The Penguin Empire alongside Timothy White for Southern Light Films. Executive producers include Paris Kasidokostas Latsis, Terry Dougas and Jean-Luc De Fanti for Rhea Films, Bryce Menzies, Grant Sputore, Philip Wade and John Wade. The robot will be created by WETA Workshop, who are known for their work on Avatar and Lord of the Rings. The post Netflix Acquires Rights to Sci-Fi Thriller I Am Mother appeared first on ComingSoon.net.